Hạ Long People’s Committee issued a Notification no.554/TB-UBND dated September 14thabout stopping aquatic exploitation around Hạ Long Baywhere has been designated as the World Natural Heritage. Upon the Notification, no units or individuals are allowed to carry on any aquatic exploitation activity by any method aroundcaves, beaches, waterway, traveling routes, places on Hạ Long Bay where are planned for ecosystem preservation. Especially, the exploitation is prohibited on the World Natural Heritage – Hạ Long Bay, except for fishing, diving or authorized marine experimentsdesigned for tourists using traditional tools. 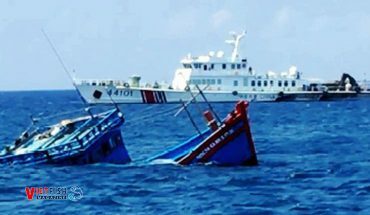 Any unit or individual, who commits to the violation of the rule, will be handled under the law including confiscation and destroying of fishing tackles and tools which are used for aquatic exploitation at the mentioned areas. The regulations imposed by Quảng Ninh to preserve marine resources are specific and decisive. However there has been a large amount of fishermen and vehicle owners violating rules of exploitation and marine resources preservation. Competent authorities have found out and handle 2,063 cases of using prohibited tools in exploitation, leaving a fine of more than 7.5 billion VND.